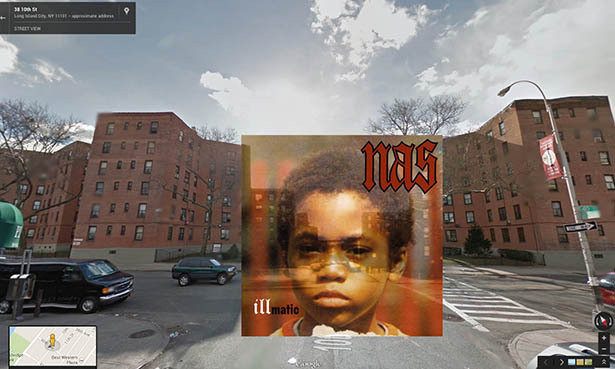 Ikonische Hip Hop Album Cover Foto Sets in Google Street View | Wo wurde das Coverbild geschossen?! 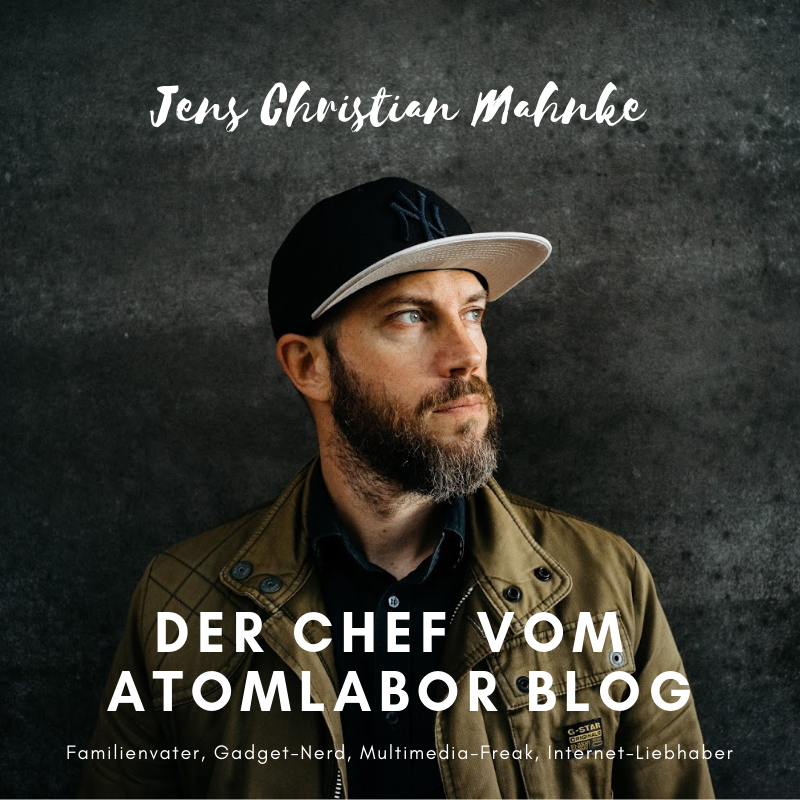 "Sag mal Papa, wo haben die Ikonen des HipHop eigentlich ihre Coverfoto gemacht!?" Ok ok, diese Frage werde ich wohl niemals zu hören bekommen und die Antwort interessiert mich mehr als meine Söhne, aber wo denn eigentlich!? 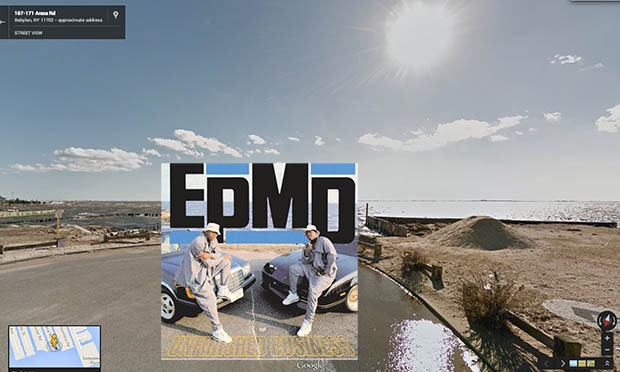 Die Jungs von Massappeal haben sich von der klassischen Albumtour des Guardian beeinflussen lassen und haben via Google Streetview nach den original Sets der Covershoots gesucht und diese auch gefunden. 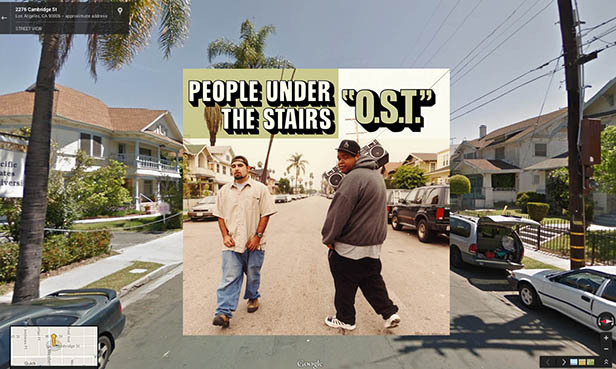 Buddy Emser hatte letztes Jahr sein FB-Profilbild in Long Beach CA, 21st Street Ecke Lewis gemacht in Anlehnung an das Cover von Warren Gs Album Regulator und wenn Ihr in den Staaten seid, könnt Ihr das nun mit Euren Ikonen des HipHop auch machen - hier die besten Cover-Plätze. 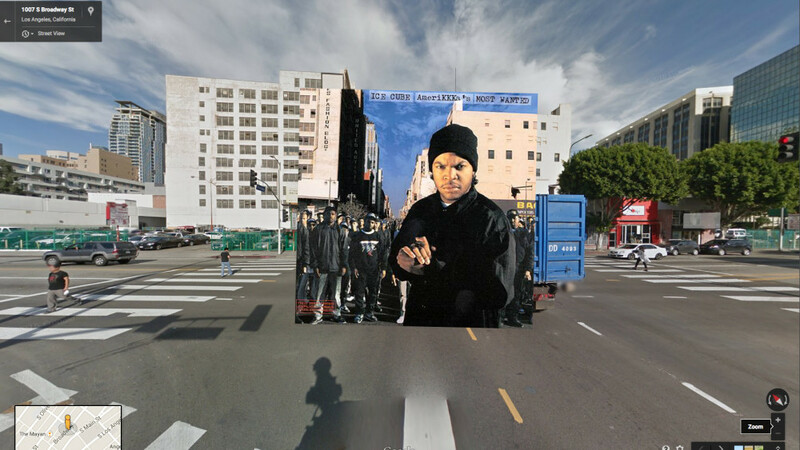 Cube uses the streetscape of L.A.’s historic Theatre District for his first album following his split from N.W.A. 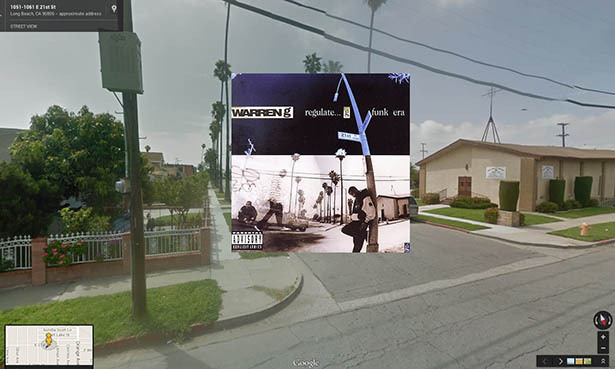 On the corner of E 21st Street and Lewis Ave in Long Beach, CA, Warren G featured his old neighborhood on his debut album cover. Inspired by the rap group 415 (Richie Rich, D-Loc and producers DJ Daryl and J.E.D.) Warren G formed the rap group 213 with Snoop and Nate Dogg here. 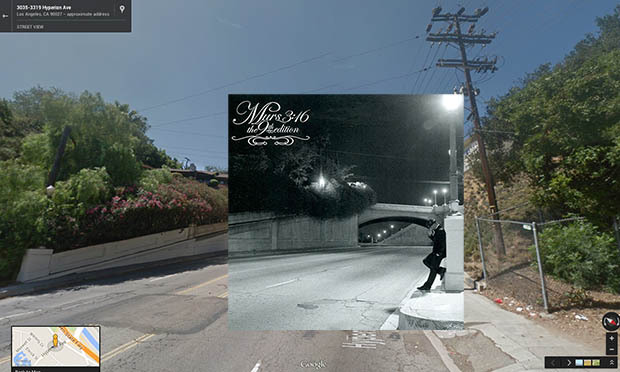 Murs is pictured in front of the underpass on Hyperion Ave in L.A. for his first collaborative project with 9th. 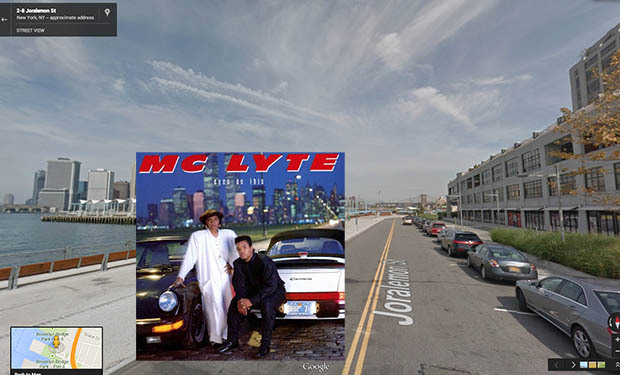 Cambridge Street in L.A. serves as the cover for the group’s third album. Just one block away from Thes One’s (Christopher Portugal) house, this DIY duo produced and engineered five of their albums there. 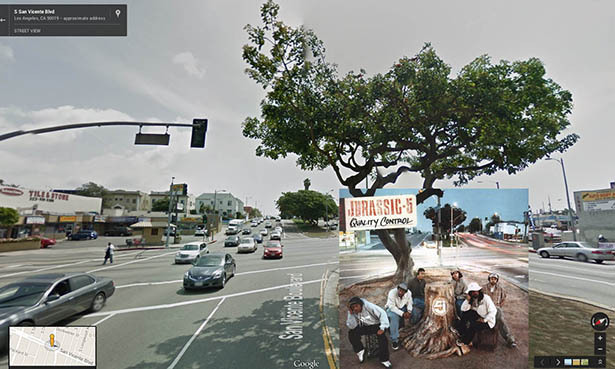 Shot at the intersection of San Vicente Blvd and La Brea Ave in L.A., a copy of the cover is currently on display at the Smithsonian National Museum of America History reppin’ south Cali’s music scene. 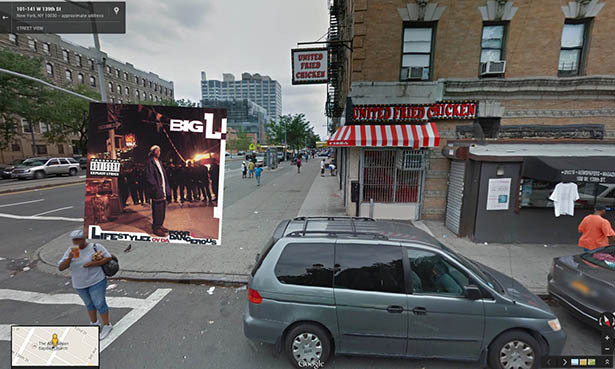 For for the cover, Big L shot in front of The United Fried Chicken spot on the corner of 139th and Lenox, also known as Malcolm X Blvd. His debut album titled was inspired by the 1985-94 television series, Lifestyles of the Rich and Famous. 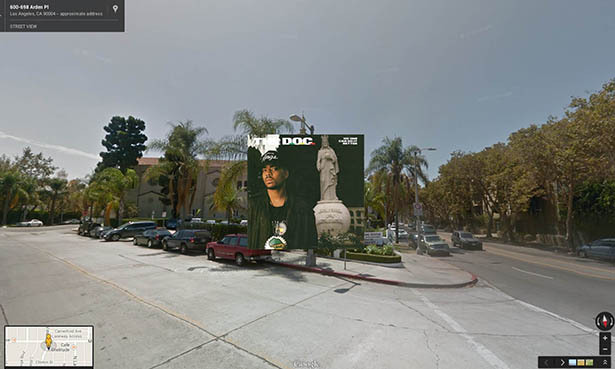 The D.O.C's 1989 debut album was shot in front of Christ the King Catholic Church south of Melrose Ave on Arden Place in L.A. The sculpture that graces the cover was created in 1951 by designer A.J. Arany and still stands today. Just like the group, the Ben Franklin Bridge on 1-27 Race Street is an iconic staple in Philly. Completed in 1926, the bridge is a popular image that can be seen in movies like Rocky and Transformers 2. The legendary female emcee posts up on a couple of Porsches on the Brooklyn Bridge Park Pier 6 for her sophomore album cover. 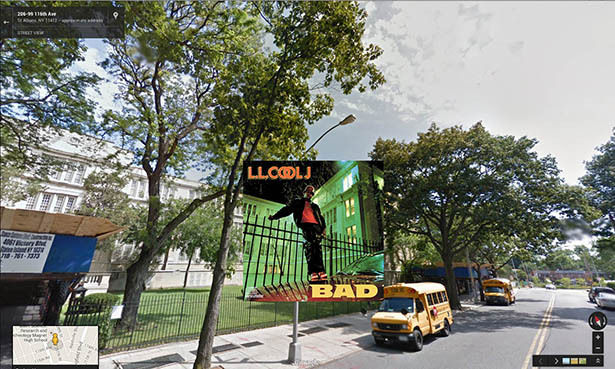 Mr. Smith uses his former high school, Andrew Jackson, in Queens for his sophomore album. It was closed down in 1993 and later reopened as the Humanities and Arts Magnet School in its place. Just off of Crescent Ave, the duo shoots the cover for their sophomore project on the dead-end street of Araca Road in Babylon, NY. 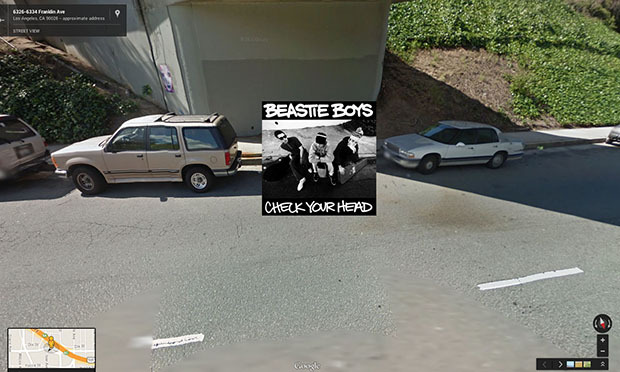 Going back to their punk rock roots, The Beastie Boys shot their third album cover with their own instruments in-hand between North Cahuenga Blvd and Franklin Ave in L.A. Graffiti artist Eric Haze wrote the text for the album. In lieu of the 21st anniversary of this hip hip classic, we will start here first. 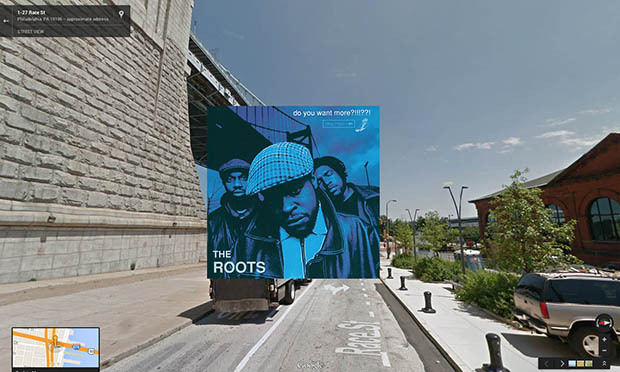 The cover was shot at the intersection of 10th St and 41st Ave in Queensbridge, one of the largest projects in America. Nas sampled from Michael Jackson, Whodini and the Gap Band but it was the insert used on the intro of The Genesis ft Jungle and AZ that was from the graffiti classic film,Wild Style that was the hardest one to clear. 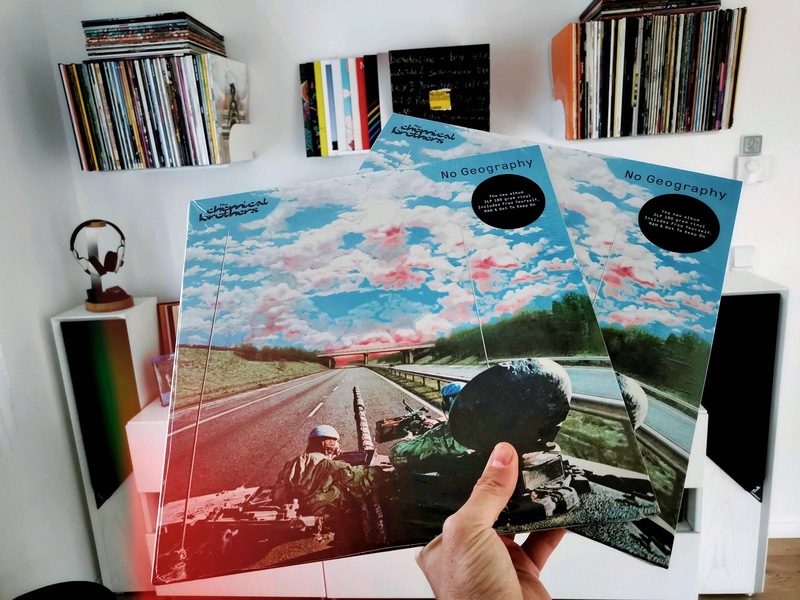 Sollten Euch noch Cover-Ort-Wünsche einfallen, könnt Ihr den Jungs von Massappeal Eure bitte hier unten im Link übermitteln und mal schauen wo Euer Lieblingscover hergestellt wurde. Geiler Shice.